MIAMI BEACH – Junior Seau was one of the best. He roamed the field and hit viciously. But he paid a price. All of the hits added up and he and his family paid dearly. A study released by the National Institute for Health was reported by the Miami Herald today. It revealed that Seau’s brain showed signs of CTE or Chronic Traumatic Encephalopathy. They National Institute of Health compared his brain to other brains and saw similarities with other brains that had suffered multiple trauma. In the time before he committed suicide, Seau’s family and wife, in particular, said that he was forgetful, depressed, and had mood swings. These are signs of the impacts of CTE. His wife told the Miami Herald that Seau’s behavior prior to committing suicide included wild mood swings, irrationality, forgetfulness, insomnia and depression. CTE is apparently common enough amongst former football players and NFL players in particular. A similar disease is konwn as dementia pugilistica. It is found in boxers and is a result of multiple blows to the head. Both dementia pugilistica and chronic traumatic encephalopathy include the degeneration of brain tissue and the accumulation of tau protein. CTE victims show sighs of dementia, memory loss, aggression, depression, and mood swings. These signs and even confusion appear months after the trauma(s) or even years later. Now, CTE is a major and serious disease. It is a horrible thing to be left with as a retired NFL player. And, there is question as to whether or not the NFL properly advised or protected the players against the risks associated with repeated head trauma. In fact, there are several hudred lawsuits involving this claim with nearly 3,000 or so plaintiffs who played NFL football. Over 20 of the people who have sued are Hall of Famers. Accident victims who have suffered head traumas often have a permanent injury that involves dizziness, vertigo, or other problems. These accidents can be car accidents or fall downs or other situations that involve a blow or trauma to the head. 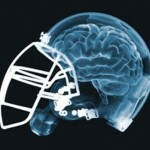 Concussions are serious and often result in a brain injury that forever changes the way a person exists in this world. Such situations are horrific not only to the victim but his or or her family. The Seau family continues to suffer. But the hope is that the investigation that is undertaken results in changes that prevent future injuries and destroyed lives.